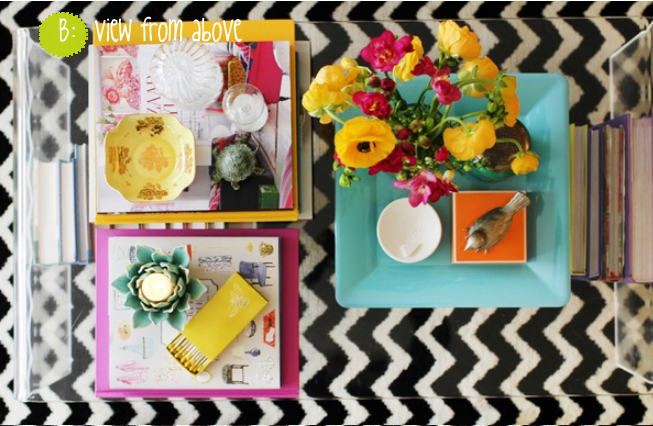 I found these table-styling pics at the Everygirl and was totally stuck by the first one. 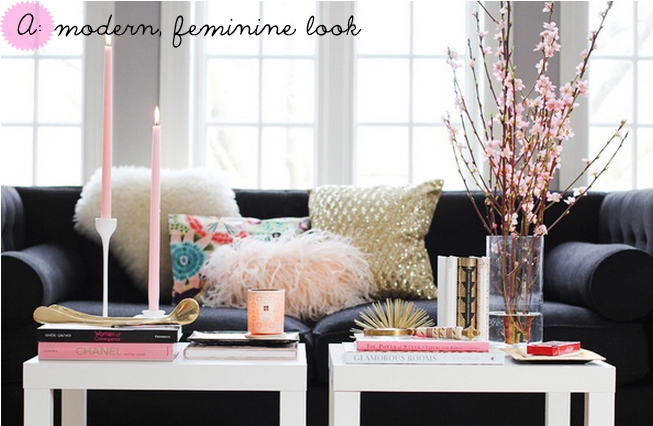 Is it just me or is feminine decorating become more and more popular. I'm sure the girly-look with piles of pink and sparkles didn't used to be so cool. If you're just back from Easter, here's a little of what we got up to. Hope you had a lovely break! I love the first one, and I just hope that my husband tolerates it! 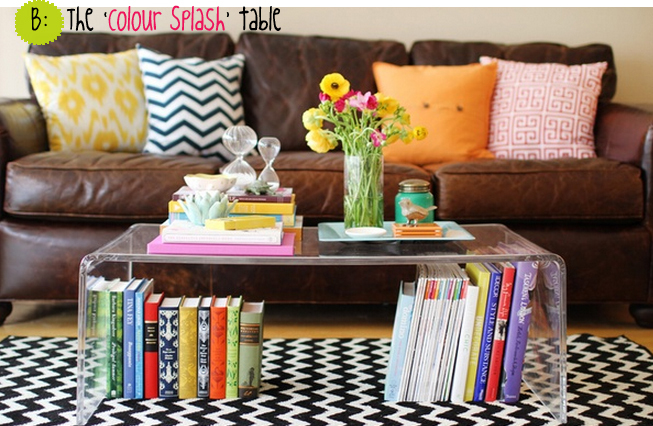 I am definitely a colour splash kinda girl! Lovely post! I am the first one for sure! But love them both! 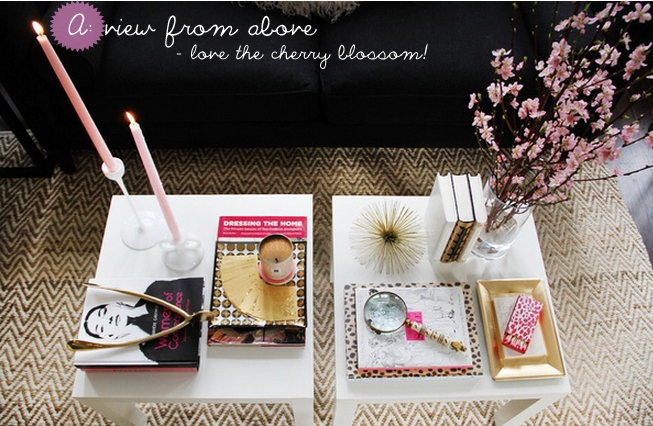 I prefer the styles #1- even though i have coffee table #2 ha! aww they are both so adorable!! i think i would choose A...! and i lovee your backround, like a lacey burlap look, so cute! wonderful blog! All of them look great. The first exhibit looks stylish and fresh, while exhibit B looks minimalist and simple. I think I should choose B as well. Exhibit B is a perfect style of coffee table for me.